Cam is finding the New Year just as hectic as the old one. Her sometimes rocky relationship with Chef Jake Ericsson is in a deep freeze, she's struggling to provide the promised amount of food to the subscribers in her first winter CSA, and her new greenhouse might just collapse from the weight of the snow. Supplying fresh ingredients for a dinner ath te local assisted living facility seems like the least of her worries-until one of the elderly residents dies after eating some of her produce. As the suspects gather, a blizzard buries the scene of the crime under a blanket of snow, leaving Cam stranded in the dark with a killer who gives new meaning to the phrase "dead of winter." Cameron Flaherty owns her uncle's farm which she has decided to convert to certified organic. It means more work, but in the end, she knows it will be worth it. She has just landed the opportunity to provide her uncle's care facility with fresh greens for a meal, and hopes that the result will be a contract to provide for them permanently. Well, permanently is certainly the right word, but it's not a contract. One of the residents, Bev Montgomery, has permanently checked out of the home after eating a meal made with Cam's vegetables. Since she becomes a suspect in the murder, her budding relationship with Detective Pete Pappas is being put on hold, and he's telling her they need to distance themselves until all this is cleared up. Stung, Cam believes it's unfair, and even though Pete tells her to stay out of the investigation, she knows she won't, especially after her uncle is injured in a fall and she thinks it might have been an attack by Bev's killer. 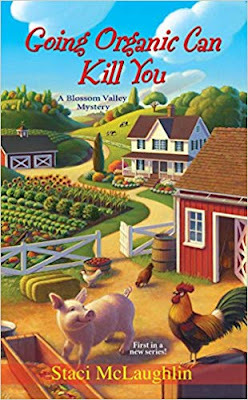 Then things begin to really come undone: Her relationship with Pete is at a standstill, she has trouble on the farm, and she finds herself in the killer's sights. While no real attempts are made on her life, the more she finds out about Bev's murder, the more she puts herself in true danger. I thought this was a splendid read. The characters were well-developed, and we are allowed at all times to see into Cam's thoughts and feelings, which is indeed refreshing. She is doing her best to make sure her uncle is well-taken care of, and also trying to make her farm a go. At the same time, she is building relationships that will benefit her in the long run, and making new friends who are willing to help her out when it's needed, since she no longer has a hired hand on her farm. 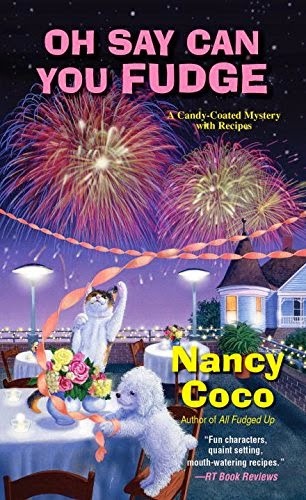 The mystery was well-written and the reasons behind the murder were completely plausible and I enjoyed the way everything came together at the end. Cam proved herself to be quite capable and not hen-witted (pun intended). I didn't discover the killer until right before Cam did, and that in itself is a good sign. This is the third book in the series but you don't need to read the first two to enjoy it. Recommended. 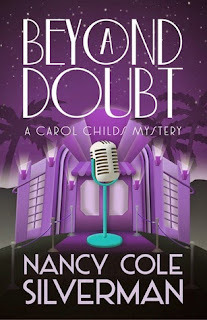 When reporter Carol Childs is called to the scene of a body dump she has no idea she's about to uncover a connection to a string of missing girls. Young, attractive women drawn to the glitz and glamour of Hollywood via an internet promise of stardom and romance have been disappearing. A judge's daughter leaves behind a clue and a trip down Hollywood Boulevard's Walk of Fame reveals a connection to a high-powered real estate mogul and to a cartel targeting girls for human trafficking. Old Hollywood has its secrets, its impersonators and back door entrances to old speakeasies and clubs where only those with the proper credentials can go. 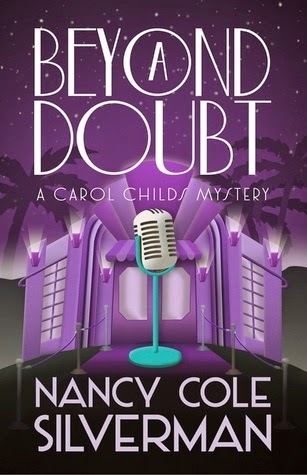 And when Carol Childs gets too close, she finds herself politically at odds with powers that threaten to undo her career and like the very girls she's seeking, disappear. Carol Childs is a reporter for an AM radio station. When she is called to the scene of a death by her boss, Tyler, she notices something about the dead girl. She was dressed for clubbing - and it appears she's fallen from a great height. Suddenly suspicious about the death, Carol decides to start digging. But the fact that she's doing so isn't popular with certain people, and it could put her in jeopardy. The next day Carol is called to Hollywood's Walk of Fame where Marilyn Monroe's star has been stolen. She is confronted by a group of Marilyn impersonators and a flash mob decrying the theft. When the impersonator pushes a business card into Carol's hand, it could help her solve the murder. And when Carol's friend Gabi, who works in television, also disappears, then things begin to become personal. But not as personal as when the life of her daughter, Cate, is threatened, too. 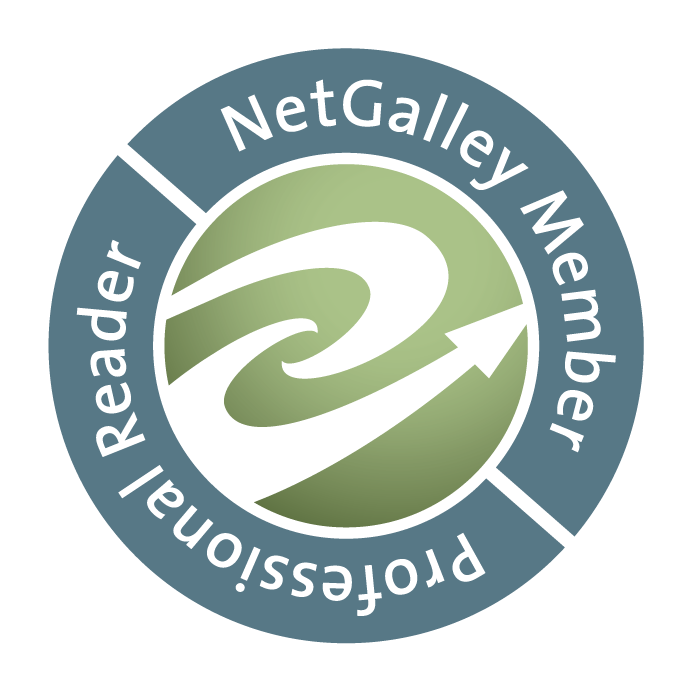 What we have here is a novel of dark secrets, missing girls, human trafficking, and more. Ms. Silverman has given us a story of suspense, raw emotion, and peril which builds up to a satisfying climax. People are not who they seem. Situations are not what they seem. Carol begins investigating what appears to be a missing Walk of Fame star and winds up fighting for human lives. Luckily, she has the support of both her best friend Sheri and her boss Tyler, who not only has her back, he quietly lets her know he supports everything she's doing. I hesitate to say more because each action of each character is tied in with something else that somehow all comes back together in one big circle. When you know the answer to one thing, it bleeds into something else that completely permeates that situation and turns into another. To summarize: A whole lot of whys and only one answer. Ms. Silverman has given us another book that we can sit down and get our teeth into, and I look forward to the next in the series. Highly recommended. On their very first day of business, Brendon Lawyer huffily takes his coffee...to the grave. It seems he had a severe allergy to peanuts...but how could there have been nuts in his coffee? And who stole his allergy medication? Krissy and her best friend Vicki have just opened a bookstore/cafe in the small town of Pine Hills. On their first day of business (which definitely isn't bustling, by the way) a customer orders a cup of coffee, takes it to go and dies a short time later after he returns to his place of business. 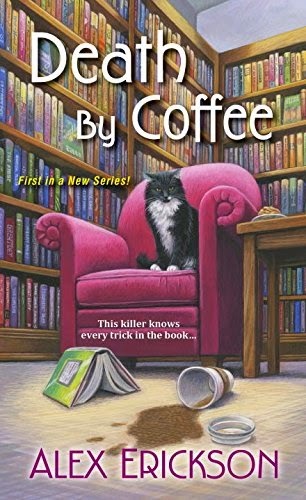 Since it is discovered that the victim had a severe peanut allergy, and there was peanut dust in the coffee, Krissy, the daughter of a famous mystery writer, is determined to find out how the dust got there...because apparently the police can't figure it out. What we have here is the beginning of a new series, and I wish I could give it a better review. The plot line is interesting, and the characters could be, if there were any character development at all. We know that Vicki is drop dead gorgeous, but we know very little about the protagonist, Krissy. Is her hair dark or light? Short or long? She says 'she's not fat or anything,' but does she have a little weight or is it even noticeable? I would have liked to have known more about her; as it was, I couldn't get a description in my head, per se. We know that Vicki is gorgeous, but for some strange reason, there isn't a single man in town who is interested in seeing her. At least none who read books or drink coffee, from what I gather. Since both Krissy and Vicki have opened the bookstore that morning, and don't know anyone in town, you would think they would be trying to drum up business for their shop. But they sit around and hope people would come in. So when the man, Brendon Lawyer, dies, Krissy does the only natural thing she can do - she walks right up to people and asks them if they had any reason to kill him...whaaat? If a complete stranger (and I assume she is, because no one knows who she is) walked up to me and asked me that, I'd first look at them like they were insane, and then just turn and walk away. But what do these people do? They answer her. And then try and throw her out. Repeatedly. Plus, the two main characters have cats, but both cats hate people and are mean. Mean as in attacking. Why? I have cats, and they don't attack anyone. That's something you train against when they're still kittens. Cats are just as loyal as dogs, some even more so. If you give them love and attention, they're all yours. Trust me. I have cats that grab at me as I go down the staircase, or jump at me from behind the blinds - without using their claws. I've never had one jump under one of my dresses while I was wearing it. Then there's Paul the cop. (Sigh.) He's hunky, of course. But not very bright. Paul's mother practically sets Krissy and him up on a date. Afterward, they go to the crime scene because somehow Krissy has convinced him she wants to see it and investigate. When they get caught, Paul's mother, the chief of police, hints that they should sleep together. Creepy, right? Then there's the fact that at times Krissy talks like a man. Women don't call toilets "thrones." We also are not so crude (I hope) as to say a man 'was taking a leak.' We might say we have to go to the bathroom, but we never share the information that we actually are. When the murderer is revealed, it comes as no surprise. The reason behind it made sense, but we couldn't even feel sorry for the murderer at the end. 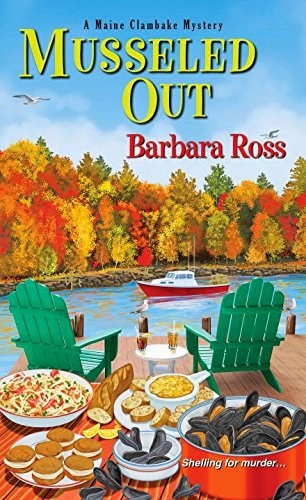 I would really have liked to have given this book a higher rating, as I enjoy cozies completely; but there just wasn't enough of feeling invested in the book to do so. I hope that this, being the first book in the series, improves with the next one. 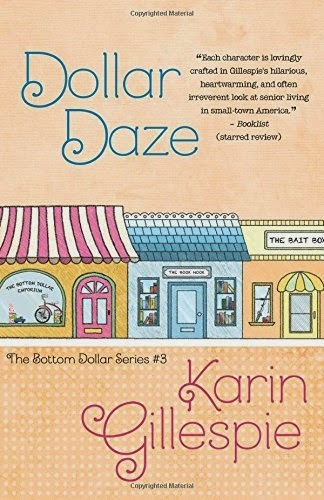 When high school heartthrob Brewster Clark returns to town, both Birdie and Mais are angling for his affections, threatening their long-term friendship. Ever-so-proper Gracie Tobias meets Rusty the dreamy doctor of her dreams but soon discovers he's actually a blue-collar duct doctor. Will their wildly different social positions drive a wedge between them? Meanwhile Elizabeth is trying to put the sizzle back to her marriage. Not even octogenarian Attalee is immune to love's siren call. She gets engaged to beau Dooley and plans a wild bachelorette party and steamy honeymoon. Traveling love's rocky road keeps the Bottom Dollar Girls asking, "Is it ever too late for moons and Junes?" Through much laughter and a few tears the girls discover that the answer is a resounding no. Attalee is bound and determined to wed her 78-year-old boyfriend Dooley, and wants a big wedding with all the trimmings, much to the dismay of her friends. Elizabeth is unhappy being a stay-at-home first time mom and wants to return to work, but her husband Timothy is dead-set against it, having been raised by a succession of nannies while his own mother worked. Mrs. Tobias, who lives nearby in Augusta, is longing for something in her life, but never expects that it will come in the form of Rusty, an attractive man who, although from a different social circle as her, shows her a different way of living and makes her happier than she's been in a long time. And when Brewster Clark, an old high school friend of Mavis and Birdie's returns to town, their close friendship might just be threatened. 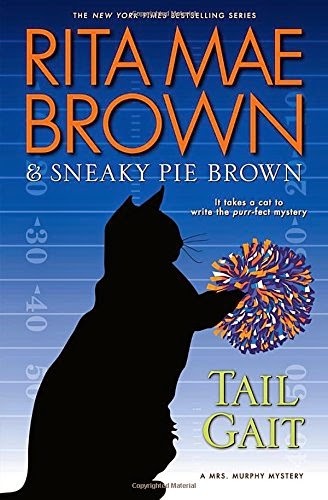 While Birdie supposedly has supposedly sworn off men, and Mavis figures at her age there probably isn't anyone out there who wants her, both are surprised by the intense rivalry that pops up when Brewster, an ex-football star, returns to Cayboo Creek to take care of a house that was willed to him. Both women have decided to woo the eligible male behind each others' backs. As Brewster convinces Mavis to help him plan a high school reunion, the womens' rivalry intensifies and they stop speaking to each other. Meanwhile, Elizabeth isn't able to convince her husband she hates staying home, and he starts sabotaging all her efforts to find a part time day care so she can look for a job. It gets to the point where they stop speaking to each other. And Attalee, even though she's eighty, wants a real wedding complete with white floor-length gown, veil, bridesmaids, and all the trappings including a bachelorette party. Reading this book, I could almost imaging being in a small town in South Carolina. These women, all widowed save for Elizabeth, have developed a bond for each other, and they're just trying to live every day as best they can, while always hoping that maybe, just maybe, there might be someone out there for them again. And even if they find the person they think might just be the perfect one they want to spend happily-ever-after with, they find that it just could be that what you thought you wanted and what you really wanted aren't the same thing after all. Highly recommended. Spring has sprung in Crozet, Virginia - a time for old friends to gather and bid farewell to the doldrums of winter. Harry and her husband, Fair, are enjoying a cozy dinner with some of the town's leading citizens, including beloved University of Virginia history professor Greg "Ginger" McConnell and several members of UVA's celebrated 1959 football team. But beneath the cloak of conviviality lurks a sinister specter from the distant past that threatens to put all their lives in jeopardy. When Professor McConnell is found murdered on the golf course the next day - gunned down in broad daylight by an unseen killer - no one can fathom a motive, let alone find a suspect. Just as Harry and her furry cohorts begin nosing into the case, however, a homeless UVA alum confesses to the crime. Trouble is, no one believes that the besotted former All-American could have done the foul deed - especially after Mrs. Murphy, Pewter, and Tucker make another gruesome discovery. As the questions surrounding Ginger's death pile up, Harry's search for answers takes her down the fascinating byways of Virginia's Revolutionary past. The professor was something of a sleuth himself, it seems, and the centuries-old mystery he was unraveling may well have put a target on his back. As Harry edges closer to identifying an elusive killer, her animal companions sense danger - and rally to find a way to keep Harry from disappearing into history. Harry Harrison and her husband Fair, a veterinarian, are attending a dinner with old friends. The next day she caddies on the golf course for her friend Susan, never having found enthusiasm for the game herself. When during the middle of the game it is discovered that there has been a murder - and that the dead man is no less Professor Ginger McConnell, Harry and the others are stunned. After all, didn't she just see him the night before? And doesn't everyone truly like him? You would think so, but obviously someone had a grudge with him, and Harry, her ever-curious nature getting in the way, decides she must help bring the murderer to justice. You see, Harry really can't help it. She just has the type of nature that makes her want to find out the truth, and the reason why. 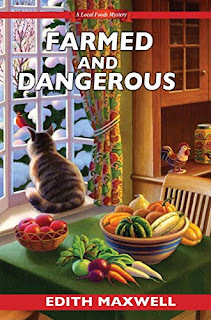 So, against the warnings of her friend and neighbor, Coop, Harry quietly probes the mystery. Then it's discovered that along with the successful alumni of UVA, there was also at least one not-so-successful at all: Frank Cresey, who was once in love with one of Ginger's daughters, Olivia. It seems he hated the professor for breaking up the romance, and Frank blamed him for his fall from grace; he's now a bum living on skid row. It's not too long after the funeral Frank announces he killed Ginger - even if no one takes him seriously, because everyone knows he would not be allowed on a private golf course. Yet the more Harry digs, and the more she finds out, her beloved pets, the cats Mrs. Murphy and Pewter, and her Corgi Tucker, know that they must do whatever it takes to protect their human. Ms. Brown has another winner in this book, a wonderful entry to her series. I can't say how delightful it was to read this. She blends the past with the present so seamlessly that one can't help but be caught up in the story. I truly enjoyed reading as much about the present-day mystery as I did with that entailing the Revolutionary War, and how the two tied together to create a dual mystery. She has a such a knack for tying the two stories together that you would think there not only is historical value in reading this, that indeed the fictional story would have basis in fact. I was especially delighted - and surprised - to find that part of the story involved areas in Pennsylvania, which I know well, and a mention of Hanover (The Shoe Farms, I am sure, since they are well-known for their horses); the town of my husband's birth. A side note, but as delightful as anything anyone reads when mention is made of their (or their spouse's) home. It is always a pleasure when fiction in stories blends along with fact; you seem to get a more intense experience when reading the book. When we finally find out the motive, it was well-hidden until the very end. No clues were given, and I didn't expect there to be. Not even many red herrings along the way. But it all comes together in one solid piece, and gruesome as the ending was, our sharp-witted Harry couldn't have done anything else. Highly recommended. It's the Fourth of July on Mackinac Island without fireworks and fudge. The Historic McMurphy Hotel and Fudge Shop is supplying the treats--and Allie has hired Rodney Rivers, the biggest name in aerial displays, to create an unforgettable spectacle. Allie McMurphy runs the McMurphy Hotel and Fudge Shop, as well as makes the fudge. She's preparing for a riotous Fourth of July with the help of her employees, and is also responsible for coordinating the fireworks this year. When she receives several strange calls from her pyrotechnist. Rodney Rivers, and sets out to find him at the warehouse, she arrives and finds that the warehouse is booby-trapped and barely makes it out before everything explodes. When her dog, Mal, finds another suspicious fire soon after, she begins to believe that the warehouse wasn't an accident.